On 10 November 2013 we took our precious daughter Eva, then 18 months old, to the emergency doctor. She had shown worrying signs she wasn’t well. The doctors at the hospital seemed quite concerned, but we didn’t really know why. 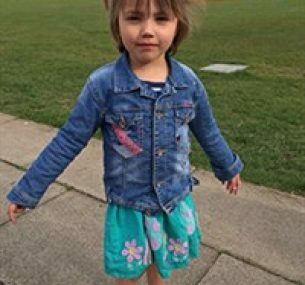 However, after further tests and scans the doctors confirmed that Eva had something called a Wilms’ tumour, a rare children’s kidney cancer. At this point Eva’s life changed forever. We were quickly referred to hospital and Eva remains under their excellent care. Over a year on and Eva has had over 400 different procedures. 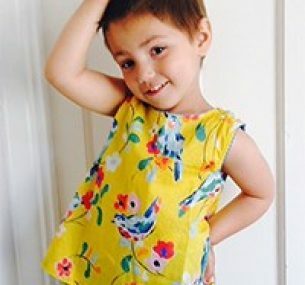 Eva has had more than 40 rounds of chemotherapy, two major surgeries (including the loss of a kidney), three minor surgeries, and two rounds of radiotherapy. 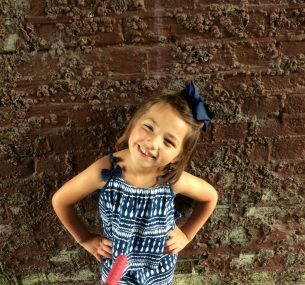 She has had countless blood transfusions and dressing changes as well as hundreds of blood samples taken. Eva has had numerous ambulance rides and has spent months in hospital. She has endured scans, stem cell harvesting, high-dose chemo and a stem cell transplant. We have been supported by amazing family and friends. All of these displays of support and help have allowed us to remain positive through what has been, and continues to be, a very difficult and challenging time. Thank you all! The hospitals, doctors and the NHS have been amazing, offering a wealth of experience and expertise. We have seen how Eva’s treatment has been specifically tailored to her individual circumstances with the consultants offering Eva new and experimental treatments. Eva is now four. She’s had her yearly post-treatment check-up and, as you can see from the photo, is doing really well! Eva is doing well – she has just finished reception class. She is full of energy and has just started gymnastics classes. She loves to swim and adores her brothers and her dog Max. We have had a fabulous holiday to Disney Florida this year and we continue to enjoy life and have fun together.